Etymotic ER4S: Since both use single balanced armature drivers and have a similar prices*, the ER4S and M1 are true competitors. The ER4S has a more laid back presentation while the M1 gives more focus to the midrange and has better depth of presentation for a more enveloping sound. Instrument separation and placement of the M1 is a bit better than the ER4S, but the biggest differences are the note decay and bass presentation. 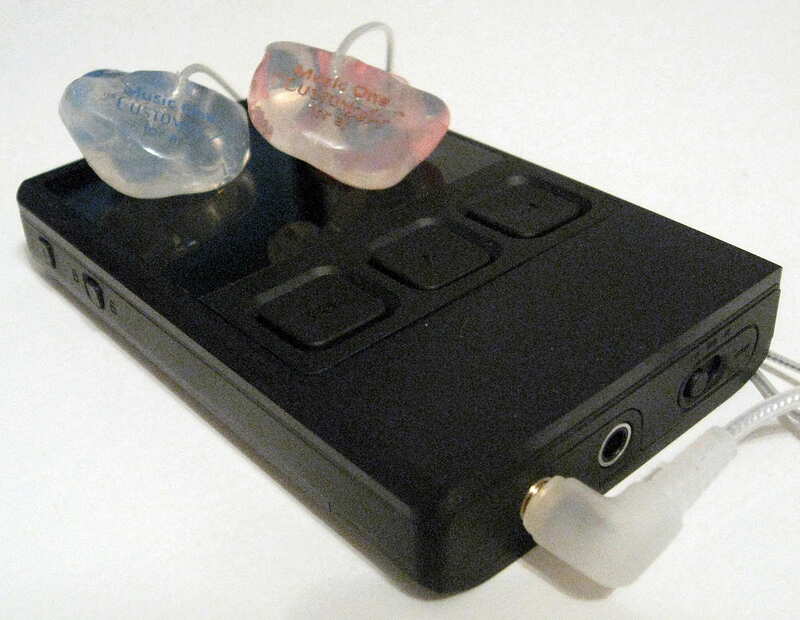 The M1 presents notes in a more natural way with a longer average decay and a larger difference between loud and quiet notes within the presentation. The bass presentation is affected most by this note decay difference as the M1 is more reverberant and has a much better sense of power while the ER4S is more analytical. 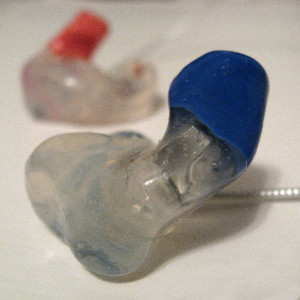 The more natural note decay of the M1 leads to better transparency and tonality while only slightly trailing in clarity to the ER4S. Bass depth and power are more prominent with the M1, being able to provide a more convincing bass experience. The difference in warmth can be significant depending upon the track, and the entire bass region is more capable of adjusting to thicker presentations on the M1. The midrange of the M1 is more musical while being a bit more forward vs. the more sterile and analytical ER4S. The treble region of the ER4S is brighter, harsher, and less forgiving while the M1 can recreate a shimmy of treble instruments and overtones the ER4S misses. The ER4S and Music one are both capable performers, but the M1 presents music in a more organic, realistic, and musical way. The ER4S is great for music analysis, but is limited due to the quickness of the note decay and the M1 performs at an overall higher level. * There are additional up-front costs associated with making a custom in-ear monitor, however I require foam ear tips for the ER4S, which will increase the cost of ownership over the lifetime of product use. EarSonics SM64: Weighing in at nearly double the price of the Music One, the SM64 has a thicker, warmer, and more bass oriented presentation in comparison with the brighter M1. But the differences are more pronounced than that, as the bass region of the SM64 sounds like a subwoofer has been added while the M1 sound like a bookshelf speaker that misses the entire bottom octave. This, combined with the brighter sound leads to very different experience and overall sound between the two. Technically, the SM64 performs at a higher level, but both have different strengths. The M1 has a bit more clarity overall while the SM64 images better, resolves more detail, and is more dynamic. From a tonal standpoint, the M1 sounds more balanced from top to bottom with better coherence, but at both ends of the spectrum it is lacking extension in comparison. Spatially, the SM64 is larger in all directions and has a more laid back presentation. These two are very different in presentation, with the Music One providing a musical and engaging experience that is involving for simple acoustic pieces, vocals, and fans of midrange. The SM64 provides more power and does a wide spectrum of genres with more power, punch, and excitement. Proguard P2+1: Lacking the punch and low end of the P2+1, the Music One provides a warmer, more laid-back and cohesive presentation. Spatially, the Music One has more depth than width while the P2+1 is the opposite. Both image well, but the P2+1 is superior overall, and with more detail, the it also has more resolution within the soundstage. Technically, the P2+1 outperforms the Music One almost across the board, but the Music One does have a naturalness to it that somehow makes up for the technical differences in many ways. It does outperform the P2+1 in coherence and is about the same in clarity, but the P2+1 has far better dynamics. The Music One is more forgiving of poorly mastered and low bitrate tracks. The bass region can sound similar or very different depending on the type of bass note, with reverberant bass notes sounding much more powerful from the P2+1 while acoustic notes are similar for the most part. The more bass-heavy the music is, the more apparent the differences are. The Music One is a bit warmer than the P2+1, and the midrange of the Music One is more forward with excellent coherence from top to bottom This emphasizes the midrange of the Music One, highlighting vocals and many instruments for a different feel than the P2+1, which almost sounds slightly V-shaped in comparison. Treble of the P2+1 is more present, but the Music One treble doesn’t give the appearance of being lacking and offers a smoother performance. The Music One is made to be musical, which it succeeds at in spades while the P2+1 is made for gigging musicians, and it too succeeds at what it was designed to do. The P2+1 provides a higher level of capability with more punch and rumble while the Music One has the ability grab your attention and let you just enjoy the music even though the technical performance isn’t the best. Alclair Reference: The Reference was designed as named and displays a more analytical nature with a more laid-back, spacious presentation and better kick down low. In contrast, the M1 is more organic and smoother providing a more musical sound. From a technical standpoint, the Reference has a larger space with better instrument separation and is more detailed with better articulation of that detail. Transparency, dynamics, clarity are better with the Reference, but the M1 is more coherent and forgiving of poor tracks. While the M1 doesn’t lack bass, the difference between the two is fairly large as the Reference extends deeper with more punch and warmth. The midrange of the M1 is much more closed-in but is more coherent, and while it doesn’t sound as open, there is a smoothness and transparency that give it different dimensions of musicality. The upper midrange is similar, but the M1 is a bit more up-front in converse to the slightly more prominent treble of the Reference. The M1 has a longer note decay in the treble region that leads to a smoother, more natural sound in comparison with the analytical and more detailed Reference. With different price points and benefits, the M1 offers an organic, musical experience while the Reference is more detailed and analytical with better technical capabilities. In Earz IE-P250: The P250 has a lighter and brighter sound that is more forward and immediate compared with the more laid-back, warmer, and smoother Music One. Spatially, the P250 has is larger overall, especially in the presentation width, but the Music One presents with more depth for the given width resulting in a more 3D experience. The more detailed P250 images better with more articulation and resolution within the soundstage. Notes are quicker on average from the P250 for a more dynamic and faster overall sound, but the Music One disappears more with better coherency across the frequency spectrum. The smoother Music One is more forgiving. Bass quantity and quality of the Music One varies quite a bit with the source while the P250 is much more consistent. Ultimately, the P250 has more bass capability with an overall cleaner note with bass-heavy tracks, and goes deeper than the warmer Music One. The midrange of the P250 is clearer and cleaner due to the thinner note as the Music One has a smoothness that makes listening easier for extended sessions, but the P250 does reveal more. The upper midrange is a bit more pronounced with the P250, giving a bit brighter tonality to vocals, especially female vocals. In the treble region, the Music One is relaxed in comparison with the more aggressive P250. Decay is slightly better with the Music One, but not by much. The P250 is more aggressive and detailed, with more punch, dynamics, and extension on both ends of the spectrum while the smoother Music One is a good performer that has a nice warmth and smoothness to the notes. The Music One can be very musical and satisfy those looking for a more organic sound, including those that are fans of tube sound while the P250 will reveal more and give a better picture into what is going on in the track, good or bad. Perfect Seal SportBud Silver: The Music One is more laid-back but has more emphasis on the midrange in comparison to the more linear presentation of the SportBud Silver. Spatially the SS has a slightly wider presentation while the M1 has relatively deeper presentation; however the M1 can seem larger and more airy due to the more distant perspective. Notes are quite similar between the two, but the SS can become congested in comparison with the Music One in thicker, more complex tracks. Dynamics and detail levels are better with the SS, but the Music One is more forgiving and easier to listen to while relaxing. In the bass region, the SS has more kick, especially in the deepest registers, with a bit better texturing. Warmth between these two is quite similar, leading up to the large differences in the midrange. The M1 pulls the midrange a bit closer than the bass and treble while the SS is more linear across the spectrum. While the SS has better clarity overall, it can become congested and not as clear depending on the track and volume level, resulting in instruments mixing together, which happens much less with the Music One. The upper midrange is a bit more prominent with the SS, but the overall quality isn’t quite as higher as the M1. There is more treble presence with the SS, which have a similar quality. The SportBud Silver presents with a more traditional sound signature that has better technical performance, but is more about the individual notes and parts of the frequency spectrum as opposed to the more relaxed Music One that gives musical overtones to the recreation of music. Both are good for their intended purposes, as the SportBuds give a more dynamic and exacting presentation that is great for workouts while the Music One is excellent for music enjoyment. Source Summary: The Music One benefits from a good source as the bass response is highly dependent on the amp section. The limited spatial size and detail levels of the Music One limit the improvement a DAC can provide, but due to the musical nature, there are still some improvements to be realized. Lower output impedance amps are necessary for the best bass response that can approach dual BA designs. 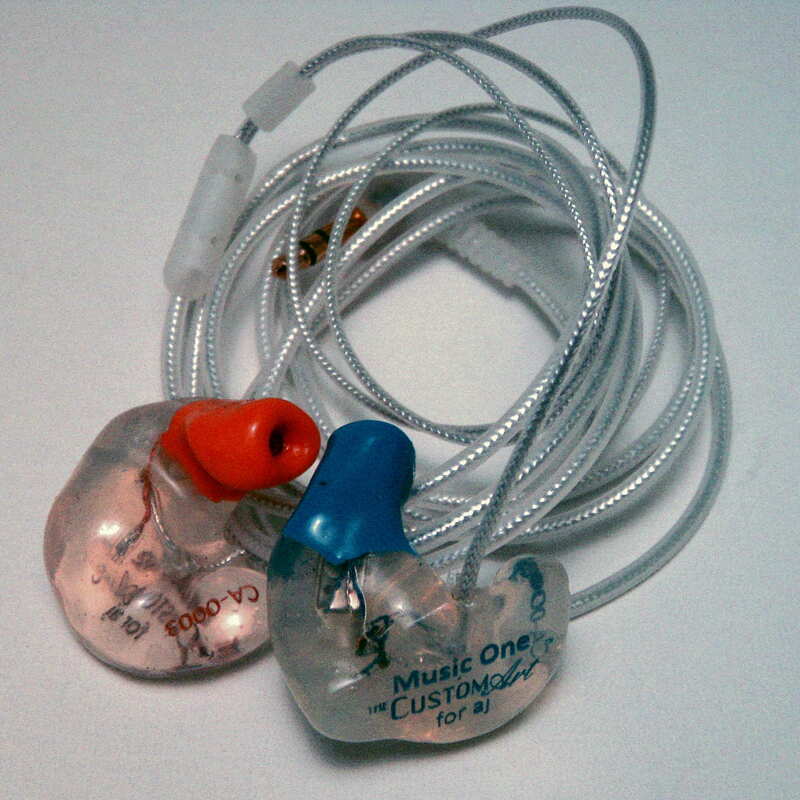 The Custom Art Music One was designed to be musical first and foremost, and succeeds. While it seems like all headphones would be designed to do this, most within this price point just recreate the music and miss the recreation of emotion within the recordings, which is what the Music One does so well. Technical performance is good for a single balanced armature driver, but not great in the grand scheme of things, yet the sound signature plays well to the strengths and weaknesses. Extension on both ends of the frequency spectrum leaves something to be desired and punch and dynamics aren’t great, there is never a feel the Music One is lacking, especially when paired with a good amp. I have heard many IEMs in the price range, with some great technical performances, but nothing I have heard recreates a musical experience quite like the Music One.